The story of Kira Heijiro, or "Postman Heijiro" as he is better known, is no folktale. He was a real live Ainu, born in eastern Hokkaido on February 3, 1886. The Ainu name of his father was Nusashibe; his mother was Matsutsuru. But they were dead by the time he was 6, and after that he was raised by an aunt. At age 15, he came down with an unexplained fever which left him partially paralyzed on one side. 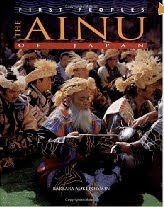 Due to the government's prohibition of most of the traditional Ainu means of livelihood- a strategy intended to assimilate the Ainu into mainstream Japanese society- these were hard times for any Ainu to find work. But Heijiro was now Ainu, impoverished, and disabled. When he could get work, Heijiro worked long and hard to make up for his physical handicap, gaining a reputation as honest and reliable. In January 1922, at age 35, he was hired to carry the out-going mail from the rural post office to the main branch in Kushiro, picking up the in-coming mail at Kushiro for delivery to the villages. The exchange had to be done during the night, and involved a solitary 16 kilometer trip (on foot, or by horse if one could be procured) through the deep-forested mountains where it was not unusual to encounter bandits. Safe delivery of the mail was regarded as a task of the highest importance, and Heijiro was instructed to take the task very seriously. On the third day of his new job, Heijiro was caught in a fierce blizzard and the going became increasingly hopeless. One of his canvas shoes became torn and fell away, so he tied a towel around his foot, but was unable to make significant headway. Finally, he removed the heavy mail bag from his back, wrapped it in his cape, secured it with a rope, tied a towel to his bamboo walking stick, and fastened that to the mail bag as a marker. Leaving the mail bag as water-proofed and secure as he could make it, he renewed his efforts to find shelter for himself. Days after Heijiro went missing, a search team found the mail bag. Then they found Heijiro's body. Apparently, he had fallen into a deep pocket of snow, and had been unable to free himself for lack of the full use of his limbs. This is where it really gets interesting. The news of the incident was reported all over the nation through print media such as the Jijishinpou (a daily newspaper created by Fukuzawa Yukichi in 1882), praising Heijiro's actions as "...truly faithful to his duty, he quietly closed his eyes to receive death only after securing the stick as a marker...," and that his death in the line of duty "was a model of a strong sense of responsibility." Many letters and money gifts poured in from all over the country to celebrate what they saw as "a manifestation of the Japanese spirit (Yamato damashii) and a preparedness for death equal to that of the samurai." Furthermore, in 1933, the Ministry of Education included the Heijiro incident in an Ethics textbook under the title "Responsibility." 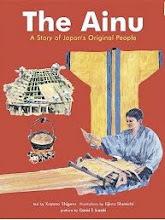 The fact that Heijiro was Ainu was conveniently omitted, and in fact, not widely known until very recently. 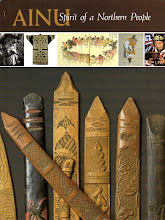 In 2005, a group of Kushiro citizens established the Kira Heijiro Kenkyuukai (Kira Heijiro Study Group) with the twofold purpose of (1) collecting and documenting accurate information about Heijiro's life and death and (2) producing a stage play to publicize as widely as possible the results of their research. I first became aware of Heijiro earlier this summer, when his name came up during a discussion with a colleague in indigenous studies research. She kindly arranged for me to get a DVD copy of the aforementioned stage performance. The liberal use of flashbacks, without much in the way of the visual clues provided more easily by motion pictures than by stage performances, was a little distracting. And, at first, I was slightly irritated by what I thought was unnecessarily repetitive references to the Ainu view of the sanctity of life. But a little on-line research explained the need for this persistence very quickly. Exactly what was it that bothered the Ainu community about the way the Heijiro incident was interpreted by mainstream Japanese society? The Japanese media and government had turned Heijiro into a symbol of the "diminish the self in the service of the state" (genshi-houkou) style of patriotism that was so prized at the time. 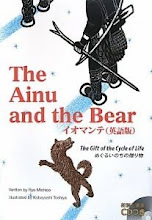 But the Ainu view of the sanctity of life includes the sanctity of one's own life, and "death in the line of duty" is not an Ainu virtue. Thus, the play's insistence that "Heijiro, while taking responsible action for the safekeeping of the mail, never once gave up trying to preserve his own life." The Kushiro study group has thoroughly researched the police reports and interview records, documenting facts that would seem to support this claim, including the fact that Heijiro's body was found 100 meters away from the secured mail bag, and the fact that he was frozen in a standing position, facing the village. 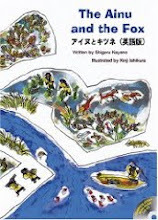 Imagine the Ainu frustration at having one of their own people turned into a symbol of the so-called Japanese spirit, when it is so contrary to what they themselves value. Societies are always on the lookout for heroes and role-models, and will fabricate them if they can't be conveniently found in real life. Heijiro was, by all accounts, honest, hardworking, and responsible; not giving in to fatalism or self-pity because of his unfortunate life circumstances. He makes a good role-model for us all.